1 x HKT22 Encoder (version 3531_0), attached to the Motor and tested !! 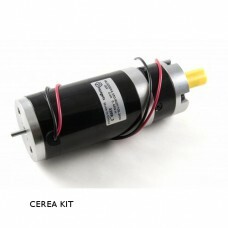 For information on the items in this KIT, please visit the separate product pages. The components in this KIT are advised by CEREA for self-steering of vehicles. Phidgets or EZtronics are not liable for the use of it's products. Warranty on all the items is 2 years (no soldering or changing of parts).